We listening, collecting and playing reggae and dub music, our names are Digiman, Laezee and Jack Summers, or just «Reggae Fire sound». We live in Russia, running regular reggae sessions in our hometown Rostov-on-Don, — «Jah Nation» since 2002 up to 2008, and «Reggae Fire Rounds» since 2009, — and also playing gigs in other russian cities. Hope you will enjoy our selections! 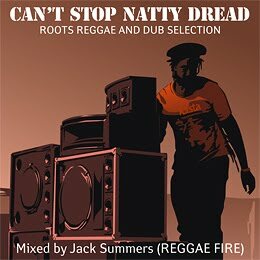 Versatile selection of reggae and dub tunes, mostly modern but with some oldies too, mixed live on Reggae Fire session by selector Jack Summers in uncompromising rootical style. Lots of sirens and effects added for more pleasure. Turn up the volume and enjoy the vibe!